“I hate French food,” said no one ever. The French have made the world a better (and tastier) place with everything from croissants and crêpes to escargot and the best damn burgers in the world (sorry, America). And, let’s be honest, no nation knows their way around butter and flour better. We are, of course, talking about irresistible French pastries. Guys, you haven’t had a tart until you’ve had a French tart. Seriously, the French will blow your preconceptions of a good tart out of the water—they’re to die for. Find out for yourself by devouring one (or three) unmissable tarts at La Fourchette and L’Assiette. Choose between lemon thyme, strawberry frangipane and—our personal fave—salted caramel. There are no half measures when it comes to ensuring the latter is niiiice and salty. Made with authentic Fleur de sel de Guérande, this is salted caramel at its finest. For those who like their sandwiches sweet, macarons are where it’s at. Picture this: white chocolate ganache sandwiched between two delicate cookies made with egg whites, icing sugar and ground almonds. It’s a far cry from being a healthy sandwich but hey, who’s counting? Pick and choose between the vibrant macarons at La Fourchette and L’Assiette—they make the sweetest gift (pun intended). The tempting gluten-free flavours include chocolate, vanilla, caramel, raspberry, lemon and mojito (yes, mojito macarons are officially a thing). Pastries covered in icing and filled with cream… what’s not to j’adore about éclairs?! And we’re not talking about the stale ones you find in the deep freeze at the supermarket. La Fourchette and L’Assiette put those to shame with their mouth-watering éclairs. Think buttery pastry piped generously with a light and oh-so creamy centre. Opt for traditional chocolate or change things up with salted caramel or vanilla. Our advice? Try one of each. We won’t tell your PT… promise! Speaking of pastry and all things French, it’s no surprise La Fourchette and L’Assiette have a hella strong croissant game. Let the buttery, flaky deliciousness speak for itself with a plain croissant or have it paired with ham and cheese (you can’t go wrong with a classic!) or salmon and béchamel. And the pastry tastiness doesn’t end there. They also whip up the likes of pain au chocolat, apple turnover and apricot Danish. FYI their almond croissant is a without a doubt the best in Auckland. Sold all over France in street stands and cafes, crêpes are lighter, thinner and crispier than their pancake cousin. But you don’t have to visit the streets of Paris to get your much-wanted fix. 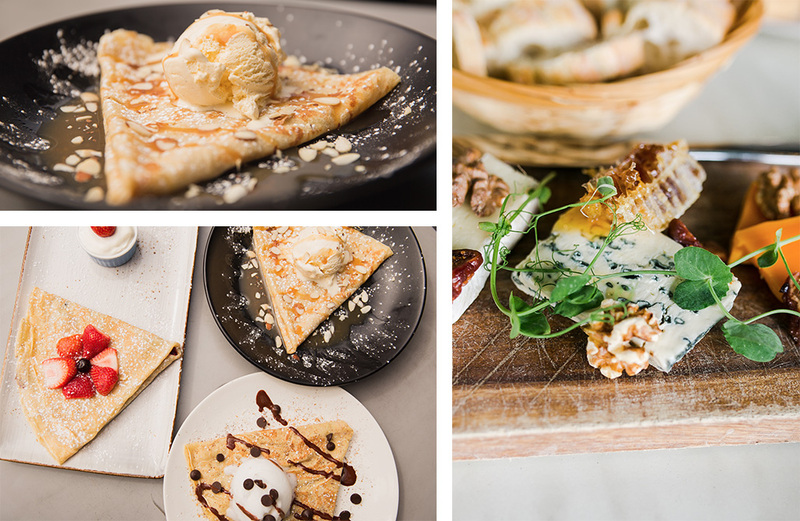 La Fourchette and L’Assiette bring their crêpe A game across breakfast and lunch with everything from Nutella and berry to dark chocolate and salted caramel. If you don’t have much of a sweet tooth, go for a savoury galette instead. Our pick? La Nordique with cured salmon, goats’ cheese, capers and lemon. Fancy A Tea-rrific High Tea? 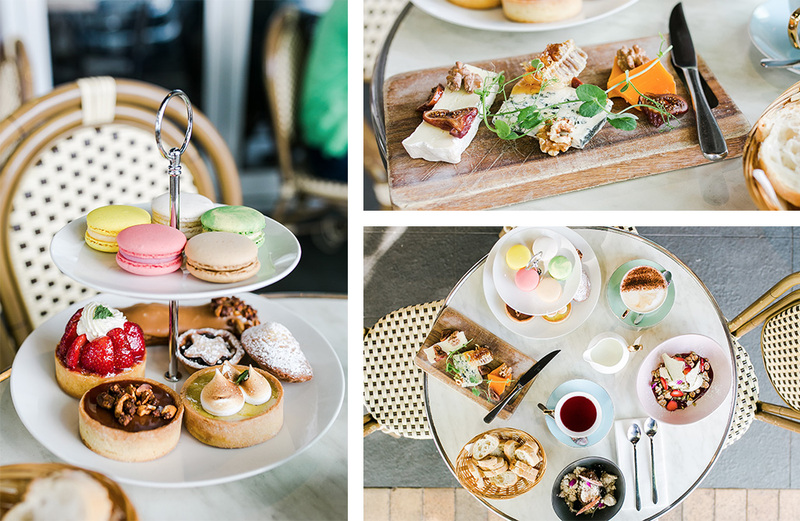 If all of the above sounds like a bit of you (it does), head to La Fourchette for a Paris-esque high tea. Salon de thé (translation: teahouse) is held at the St Heliers eatery between 3pm and 5pm daily. With no dry sandwiches in sight, start with beef tartare, rare tuna, lamb filo and their signature hummus. As for the sweet treats, you’ll be treated to triple chocolate cake, apple mousse, lemon tart and an all-important macaron. Pair with your choice of tea, Champagne or cocktails! We guess that’s Valentine’s Day sorted. … The Pastries Are Just The Beginning! Is that your tummy we hear rumbling? We thought so! Divine pastries and sweet treats are just the beginning at La Fourchette and L’Assiette. The sister eateries have got it goin’ onnn when it comes to French fare and superb service. But don’t just take our word for it. Visit them in St Heliers and Britomart for an authentic taste of Europe. And watch this space... There are whisperings of a new pâtisserie/boulangerie opening in the CBD very, very soon. We’ll keep you posted! Editor’s note: This article is proudly sponsored by La Fourchette and L’Assiette and endorsed by The Urban List. Thank you for supporting the sponsors who make The Urban List possible. Click here for more information on our editorial policy.